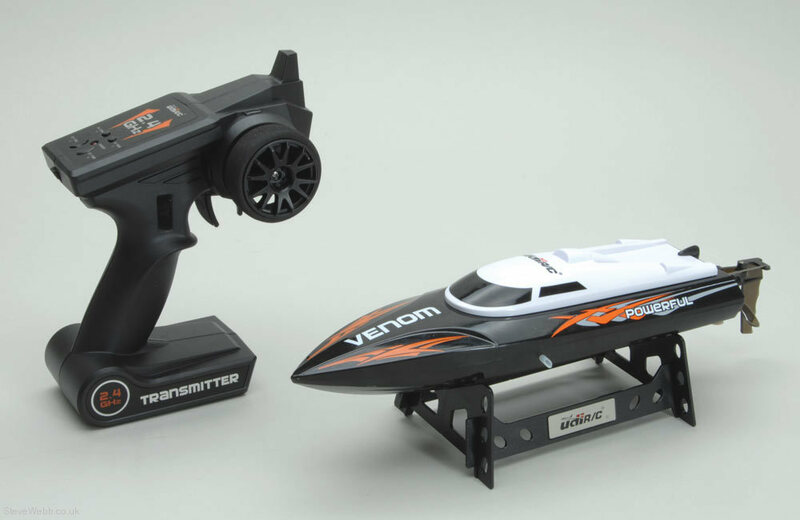 The UDI001 Power Venom Boat is UDI's first RC boat and they didn't disappoint. 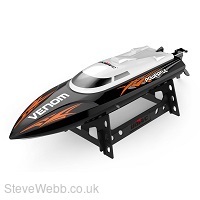 It features a tough moulded hull and deck with a design that suits both agility and an impressive top speed of 25kp/h! 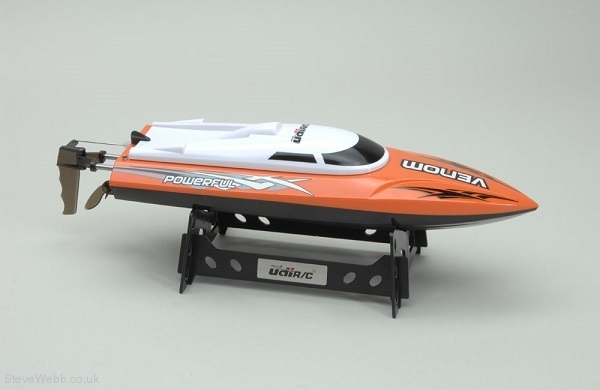 The boat comes ready to run and requires no assembly, it also includes a quality 2.4GHz radio, Li-Po battery and charger. The transmitter includes an audible telemetry warning that alerts you when the boat battery is running low on power, helping to avoid being stranded in the middle of the boat pond! Supplied in either black or orange at random. Required to Complete: 4x 'AA' batteries for the transmitter.